APThis isn’t me, but I think she enjoys the iPhone 6 Plus as much as I do. I’ve been using the iPhone 6 Plus as my primary phone for the last 60 days. In my review, I called it a dream phone. Apple finally made the big-screen phone I had dying to buy for years. But now that I’ve had a full two months with the 6 Plus, I have a few more thoughts on what it’s like living with Apple’s first phablet. I never use my iPad mini anymore. In fact, I'm going to sell it. I bought an iPad mini with Retina display last year shortly after it launched. Many days, I used it more than my iPhone 5S. That extra screen space helped me get a lot more done. 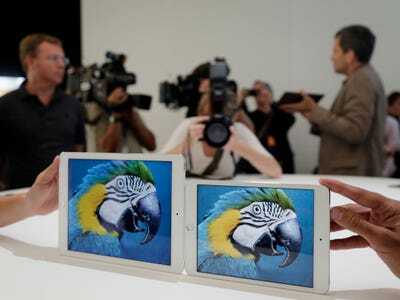 But now that I have the 5.5-inch iPhone 6 Plus, I don't see a need for the iPad mini. Maybe it makes more sense to get a full-sized iPad now. But in the meantime, I'm going to sell my iPad mini because I never use it. It's not too big for my pants pocket, but it is uncomfortable when I sit down. 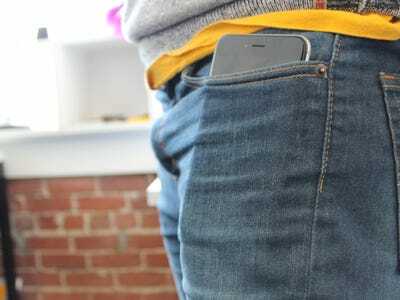 One of my biggest fears about the iPhone 6 Plus was that it'd be too big to fit comfortably in my jeans. Luckily, it fits just fine. But when I sit down with the 6 Plus in my pocket, it sort of jabs into my hip. It's very uncomfortable if I have to sit for long periods of time. I usually take the phone out and keep it on my desk now. But it's likely too big for most people. 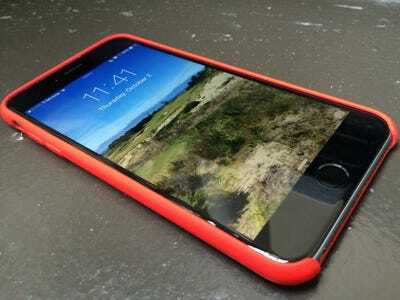 You should probably consider buying the iPhone 6 instead. 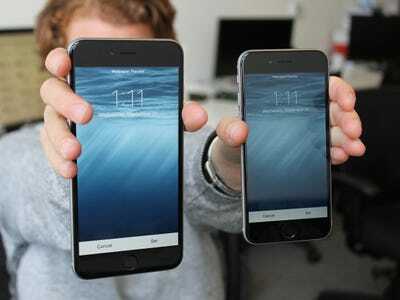 Just because the iPhone 6 Plus is a good size for me, doesn't mean it will be right for everyone. I'm a tall dude and have big hands to match, so I don't have a problem using such a large phone. 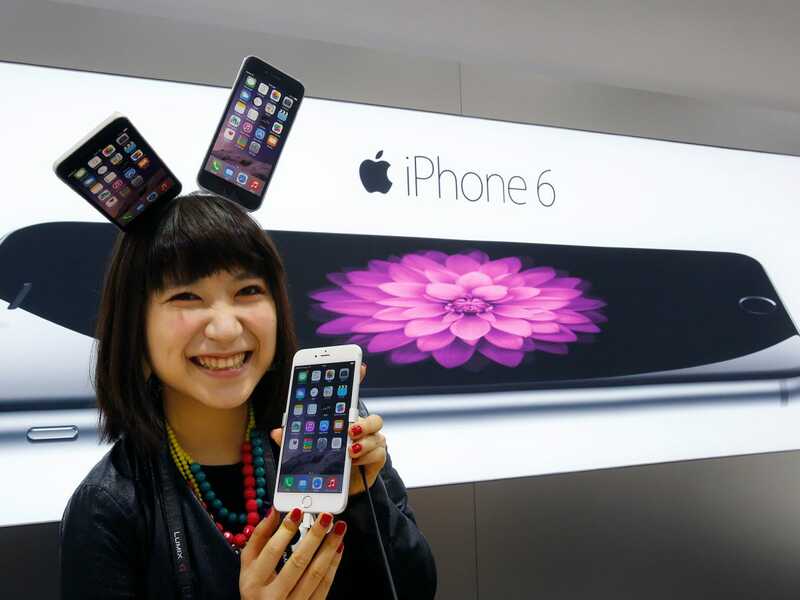 If you have smaller hands, you're probably better off with the iPhone 6. In fact, whenever someone asks, I suggest they try the iPhone 6 first. It's a more manageable size. My iPhone 6 Plus is straight as an arrow. I've had two friends complain that their iPhones have bent, however. Still, Apple says very few people have complained about it. 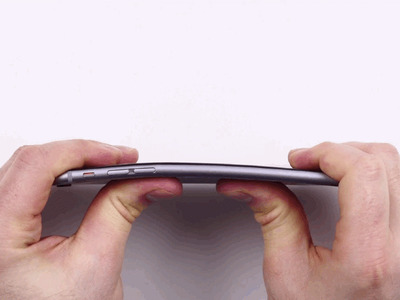 And if you do have a bent phone, Apple will replace it. Make sure you get at least the 64GB version. 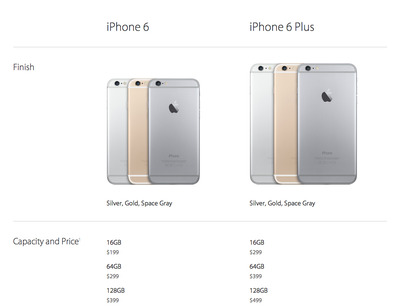 The iPhone 6 Plus comes in three storage sizes: 16GB, 64GB, and 128GB. Unfortunately, 16GB doesn't cut it these days, as we learned when a lot of people couldn't upgrade to iOS 8 because they didn't have enough space. It's ridiculous that Apple starts iPhones with 16GB, especially when its competitors offer at least 32GB in their base models. If you get an iPhone 6 Plus, get at least 64GB of storage. Most developers haven't fixed their apps for the bigger screen yet. 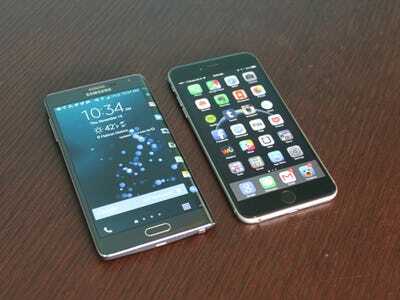 The bigger screen and higher resolution on the iPhone 6 Plus means developers have to adjust their apps to fit. If they don't, the app zooms in and looks bloated and a little blurry. Most of the apps on my phone haven't been updated to fit the larger screen size, which is annoying after two months. Hopefully developers will update their apps to fit the bigger iPhone screens as more people buy them. It's not a gym-friendly phone. My iPhone has always been my gym companion. I use it to listen to Spotify and track my progress using fitness apps like Jawbone. That was easy to do with the tiny iPhone 5S since it fit well in my pocket. But the giant iPhone 6 Plus doesn't fit well in my gym shorts and it's too big to strap to my arm. It's kind of awkward. There are some fanny packs you can buy to hold the iPhone 6 Plus, but I don't want to look like a dork. 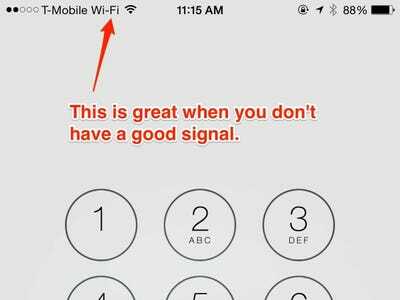 The iPhone 6 and 6 Plus are the first phones from Apple to support Wi-Fi calling, which means you can get a strong cell signal anywhere with a standard Wi-Fi connection. It's really useful in my office, which has spotty cell reception in some areas. Right now, T-Mobile is the only US carrier that supports Wi-Fi calling on the iPhone, but other carriers will soon. I really should use a case. I don't like putting a case on my iPhone, and as a result, my 6 Plus has a lot of scratches on it. That's the downside to a metal phone. It looks and feels better than plastic, but it's also a magnet for dings and scratches, even if you don't drop it. 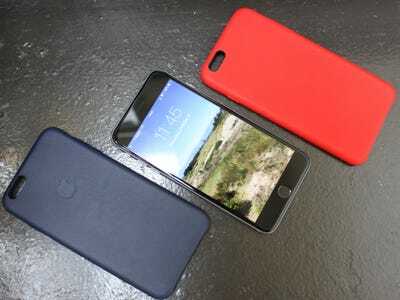 If you buy an iPhone, get a case. Apple Pay is cool, but you can't use it most places. About a month after Apple launched the iPhone 6 and 6 Plus, it released Apple Pay, which lets you load your credit card on your phone and pay for stuff by tapping the iPhone against a special pad. 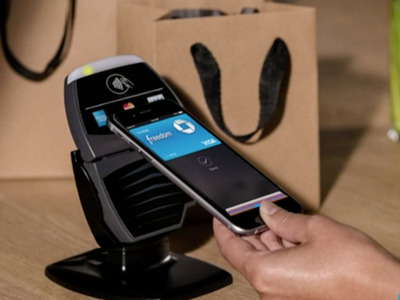 It works flawlessly, but the vast majority of retailers don't support Apple Pay right now. I mostly use it in New York City cabs, which do have the special payment pads. But until those pads are as ubiquitous as normal credit card readers, I don't see the iPhone 6 Plus replacing my wallet any time soon.